It’s been two years since the government introduced pension freedoms, greatly expanding the options for how those who have saved into a defined contribution pension product can access their savings. There are now a number of different ways to take advantage of pension freedoms, so let’s have a look at each of them and the potential advantages and disadvantages of each. If you can afford to do so, choosing not to access your pension at 55 can be one of the most beneficial options to take. You can continue saving into your pension if you want to, enjoying tax relief on all contributions until you turn 75. This also applies to any further gains you might make by leaving your pension pot invested. The main drawback is that you won’t be able to use your pension to support you, delaying your ability to retire. However, with many people choosing to continue working beyond the traditional retirement age, either part-time or full-time, this option is becoming increasingly popular. 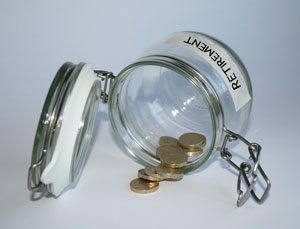 The introduction of pension freedoms meant that everyone is entitled to take a tax-free 25% out of their pension pot. The benefits of doing this include being able to reinvest your money elsewhere in order to try and grow it further, to pay off a mortgage, or to have the freedom to splash out on home improvement, a holiday or anything else you want to treat yourself with. Obviously spending a quarter of your pension fund in one go means that you’ll have to stretch the rest of your savings to cover your retirement, whilst another drawback of taking the 25% is that any other withdrawals from your fund will be subject to income tax. Another option is purchasing an annuity with your pension savings. Most annuities provide a guaranteed income until you die, but there are also fixed term annuities which last for a set period of time, or joint annuities which continue to pay a partner or dependant after your death. The main draw of annuities is the security and peace of mind they offer, but it’s essential to shop around for an annuity which gives you a good rate. Annuity rates depend on a number of factors including your age, health and lifestyle, and some are also linked to inflation. ‘Flexi-access drawdown’ is a further option which means you can withdraw your savings as and when you want, taking advantage of the 25% tax-free lump sum and reinvesting the remaining 75% into a number of investments outside of your pension pot. The advantage here is that you can adjust your income to reflect your needs, allowing as much of your savings as possible to remain invested and grow. The main drawback is that, like all investments, they can shrink as well as grow. Your income is also not guaranteed, and as your savings are finite, you’ll need to be able to support yourself once they’ve been used up. With so many options available, the most important thing to remember is not to do anything without fully considering your circumstances. An option which works for one person might be a disastrous choice for another. Before making use of the pension freedoms available to you, seek professional advice and make an informed decision.